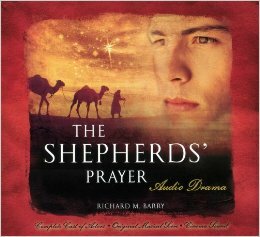 Roy does another newscast and we review The Shepherd's Prayer, an audio drama based on the book by Richard M. Barry. This is a great Christmas story that we highly recommend. Also, JD interviews Paul McCusker and they discuss Focus on the Family Radio Theatre. And then we traipse down to the mail room to read some listener's letters.